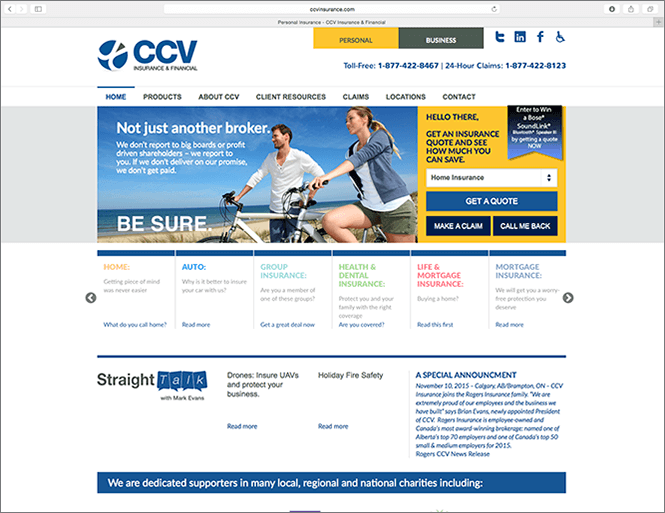 CCV. 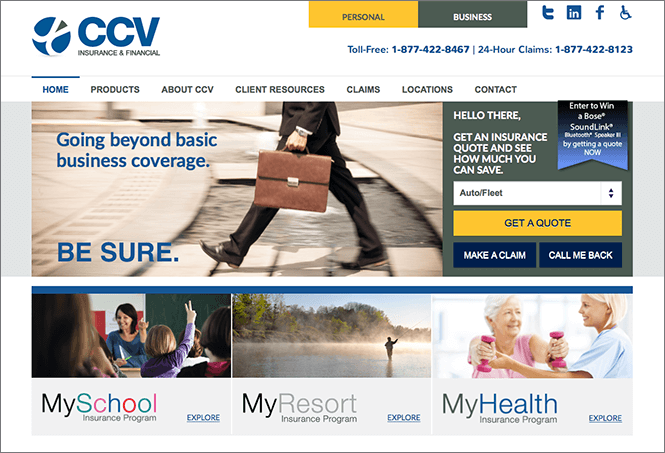 Insurance company brand identity design and web site design. 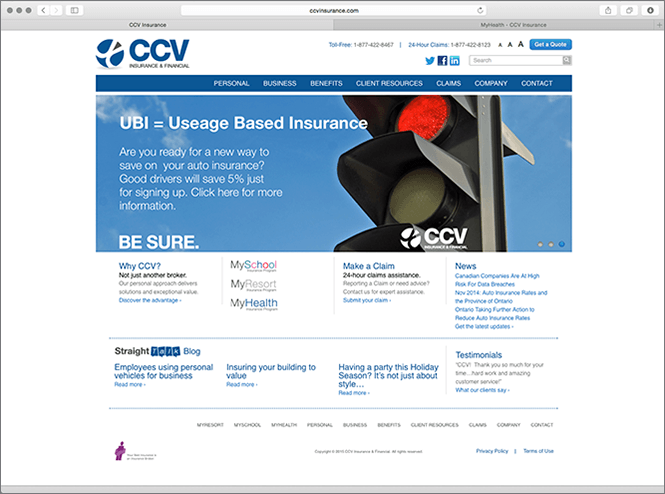 Case Study | New Design Group Inc.
CCV Insurance & Financial is one of the largest independently owned insurance brokers in Ontario serving clients for over 40 years. Products and services are supported by a team of insurance professionals with extensive training and expertise dedicated solely to you – our clients.